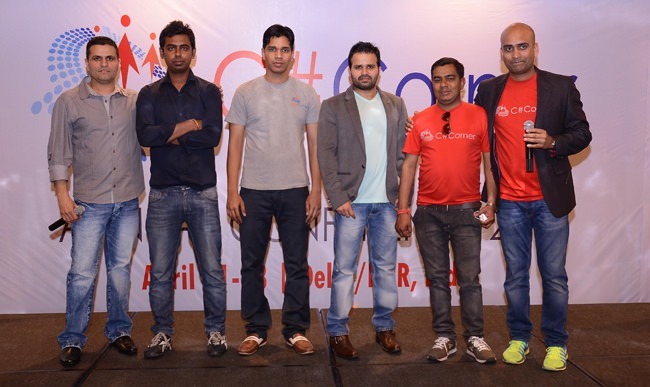 C# Corner Annual Conference 2014, north India’s one of the largest developer conferences, held last week, from 11th to 13th April, at the Radisson Blu Hotel, Ghaziabad. The conference comprised 13 celebrated International Speakers and 18 sessions, discussing in details the cutting edge technologies. New Delhi (India), 14 April 2014 - C# Corner Annual Conference 2014, north India’s one of the largest developer conferences, held last week, from 11th to 13th April, at the Radisson Blu Hotel, Ghaziabad. The conference comprised 13 celebrated International Speakers and 18 sessions, discussing in details the cutting edge technologies. 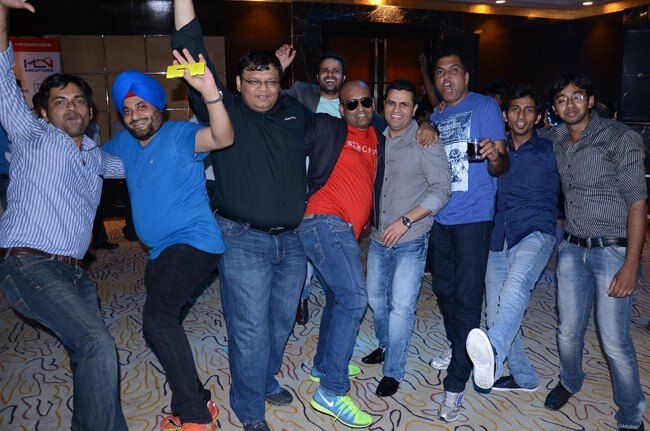 C# Corner MVPs and members gathered from all over the world and every corner of India. 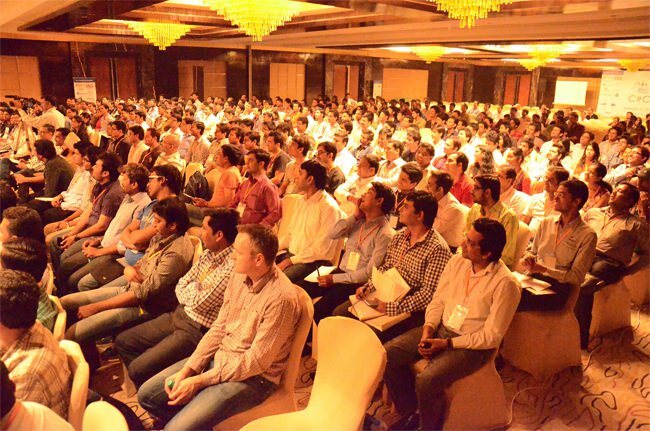 The conference was a 3-day event with the first day focused on C# Corner authors, speakers, and MVPs. The second day (the main event) of the conference was a public event open to all C# Corner members. The third and the last day was a private breakfast and good byes. 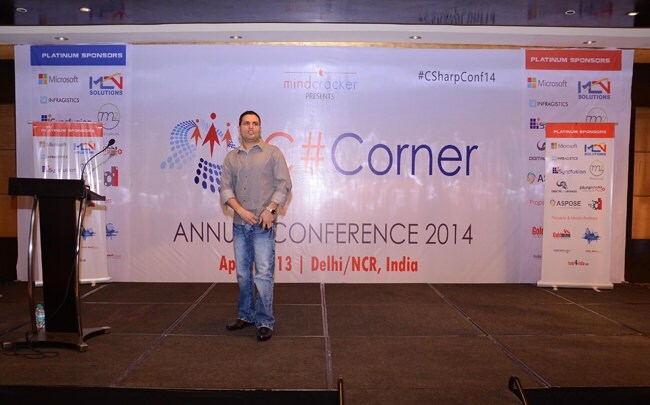 The first day event was a private event for MVPs, authors, speakers and C# Corner team members. Well-known speaker, trainer and blogger, Pinal Dave presented an electrifying session on How to become a good speaker. 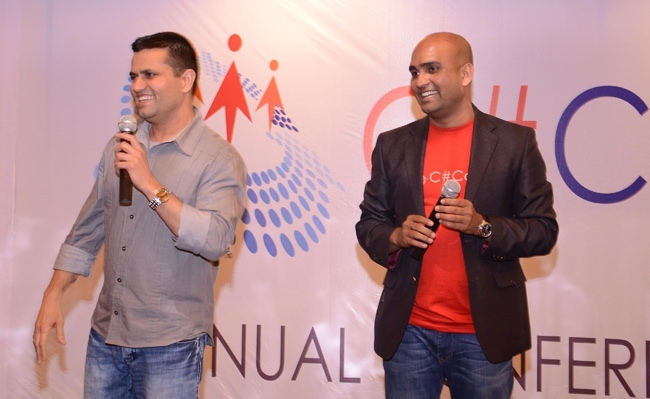 Industry veterans, including Mahesh Chand, Gaurav Mantri, and Prabhjot Singh shared their industry experiences, problems and the ways of contenting oneself in difficult times. All agreed, developers face some problems or the other, the solution is to get involved with the real world, share more and we collectively, can and must find a solution. Day 2 was a public event for the C# Corner members. 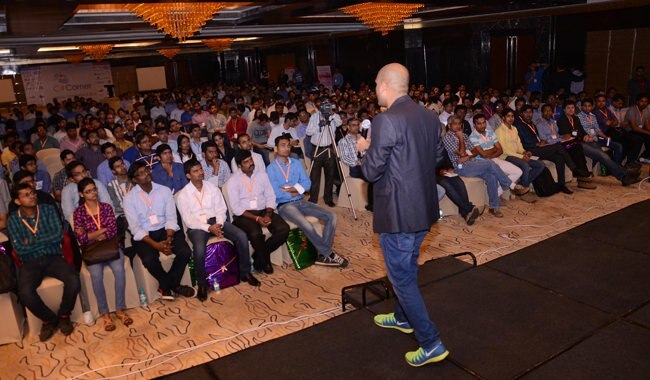 Total 1200+ attendees and 45 MVPs enjoyed 18 sessions from 13 speakers. The Welcome Note, Keynote, and the Closing Notes were common to all, and the sessions were divided into 3 separate tracks. This year’s conference color was red, representing the community awareness. On the day of the main event, the attendees started gathering since 8 AM. 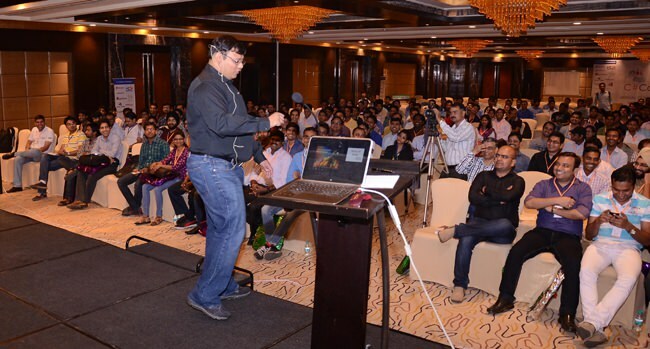 By the time of the welcome note, the main hall was packed with over 1200+ audiences. And 45 MVPs joined the occasion from all over the world. 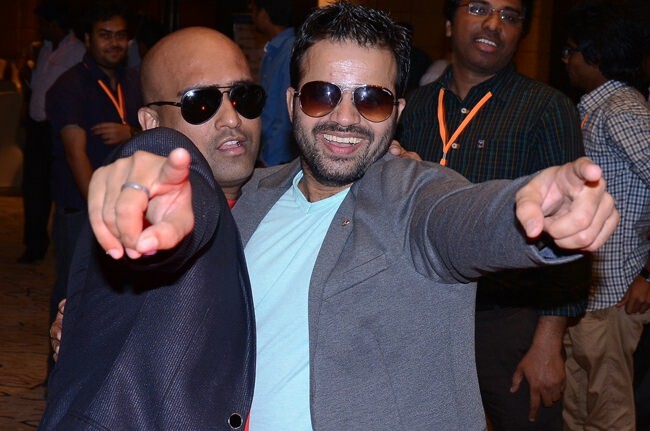 Dhananjay Kumar (DJ), the Conference Director, 5-times Microsoft MVP, and mentor at C# Corner, was completely running the entire show, he didn’t only manage and oversee the proceedings of the entire conference, but also started the main event with his Welcome note. 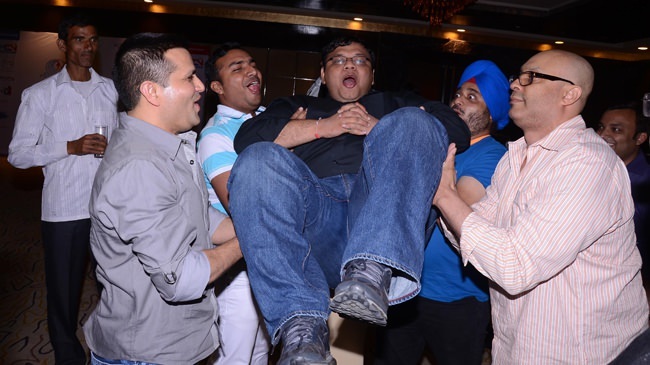 From there, Ankur Malik, the host of the conference took it forward. Mahesh also demonstrated the new features, launched recently, including Interviews, Jobs and Career Advice sections. 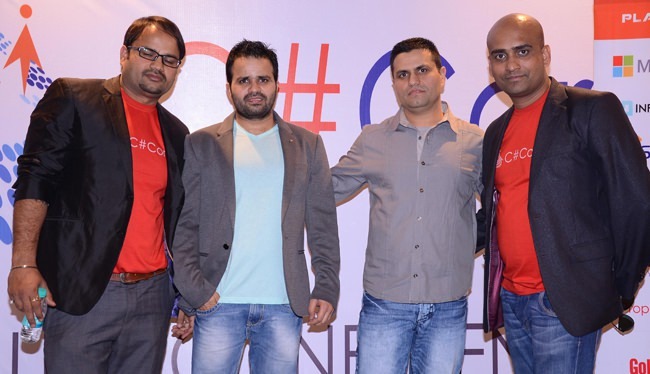 “C# Corner community is all about you”, said Mahesh. Shradha Sharma, CEO and Founder of www.YourStory.com was invited on stage for the next Keynote session. Shradha too got emotional and shared incidents from her academic life that many of us could relate to. One of the lessons that Shradha taught that day is “Rejoice in what’s not given to you”. Pinal Dave, an Industry Speaker, the founder of Sql Authority, and a Pluralsight evangelist put together a fully entertained session with his topic, the Secrets of SQL Server Join and Indexes - The Unsung Hero. 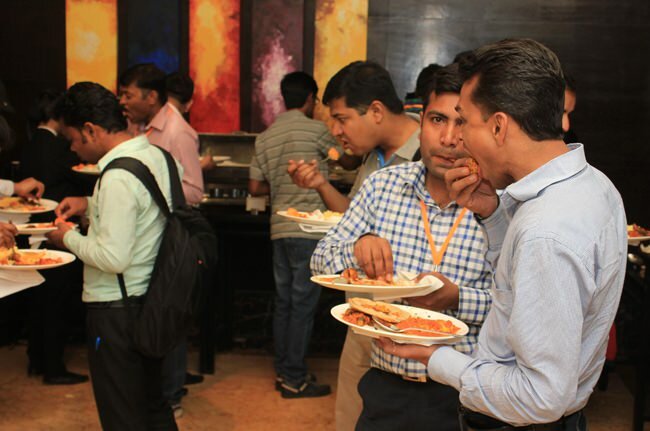 In between the sessions, audiences also enjoyed the lunch. Dhananjay Kumar, 5-times Microsoft MVP, mentor at C# Corner and Delhi Chapter Lead presented a full action-packed session on Node.js for .NET Developers with one gun and a bunch of shots. 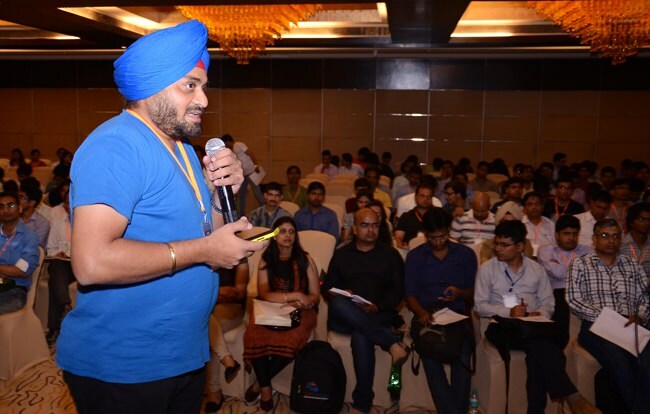 One of the most popular trainers in India, Prabhjot Singh owned the podium and live demoed the communication and notifications between multiple devices using Windows Azure as a back-end service, in his Building Cloud Based Connected Windows Phone and Windows 8 Apps session. Chris Eargle, the founder and mentor of the Columbia Enterprise Developers Guild, a frequent speaker at conferences and community events, INETA director and a Microsoft MVP, presented the Legend of Lambda and the Secret of .Net Ninja. INETA speaker and evangelist, Jason Beres brought something different to the table by bringing his industry experiences into his session Method for successfully Delivery overtime. 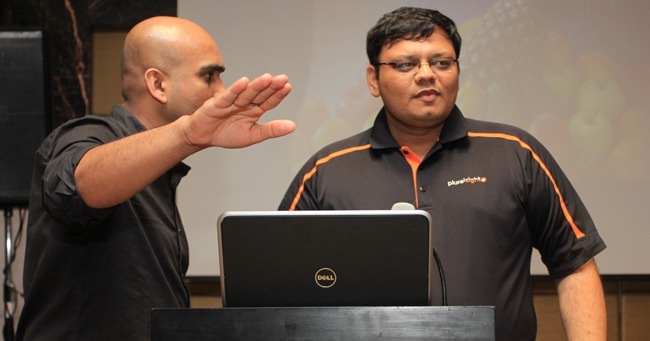 Gaurav Mantri, the founder of Cerebrata Software and a Microsoft MVP took sessions on Demystifying Cloud Computing and Introduction To Windows Azure. 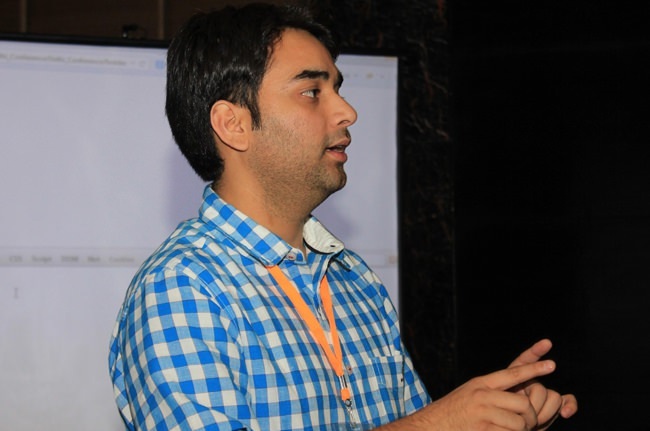 Gaurav also shared his industry experiences, challenges and how he overcame those challenges. Brij Bhushan Mishra, 2-times Microsoft MVP, C# Corner MVP, and C# Corner Delhi Chapter speaker talked about the Web applications, MVP and ASP.NET in his Building Web Applications with ASP.NET MVC 5. Karthikeyan Anbarasan, a Microsoft MVP, Architect and C# Corner Chennai Chapter Lead, spoke on the topic, Windows Phone - Target Your Application Globally. Suchit Khanna, developer at Royal Bank of Scotland, a C# Corner MVP, and a regular speaker at C# Corner Delhi Chapter, presented the topic Building Restful Interfaces using ASP.NET Web API at the conference. 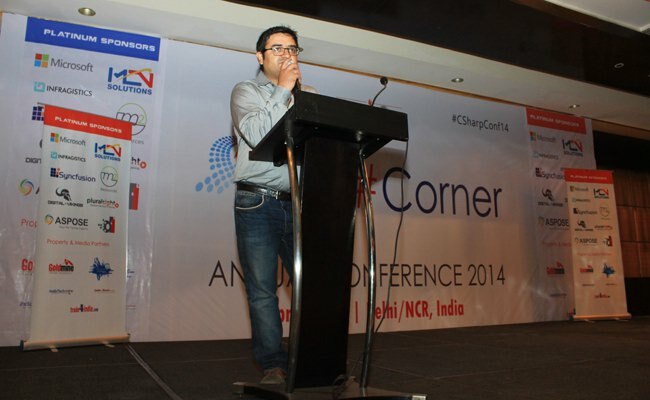 Amit Choudhary, a Microsoft MVP and a C# Corner MVP presented Modern Web Development using Visual Studio 2013. 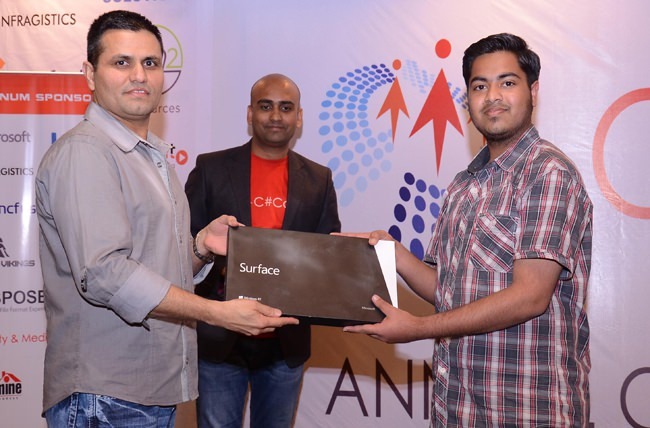 Kamal Rawat is an Open Source and Microsoft Technology Enthusiast, a C# Corner MVP and a Mumbai Chapter Lead. Data in jQuery was presented by Kamal. The time quickly rolled and once the sessions were over. It was then time to share some great personal experiences. All the veterans, including Pinal Dave, Gaurav Mantri, Prabhjot Singh, Mahesh Chand and many more shared their memories from the event. Finally, it was time for the C# corner editorial team to get recognized on the stage for their achievements, to present the MVP Awards, and to distribute prizes and licenses to various members. 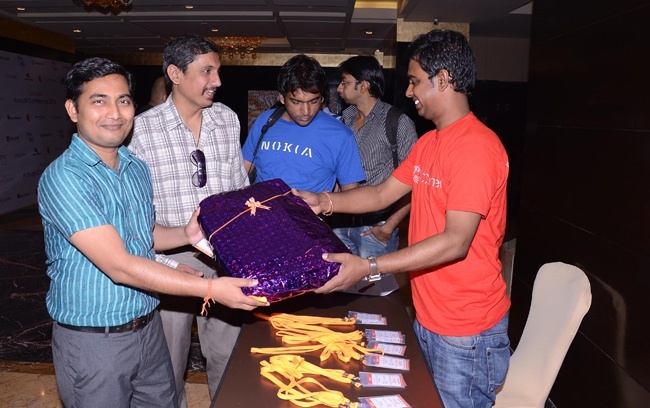 The grand prizes included a Windows Phone and a Microsoft Surface. All the chapter leads from all over the world were recognized on the stage. The conference got over in 3 days, but the preparation took well over 4 months. The conference team was recognized next. Job well done! The closing notes were presented by the conference director, Dhananjay Kumar, with a special thank you note by Mahesh Chand. Next was a photo shoot session. Most of the speakers, MVPs and attendees enjoyed photos with their favorite speakers and MVPs. The Fun did not stop there. A well-deserved enjoyment among the speakers and the conference team members was easily noticed everywhere. And in the end, it was a team effort. The last day of the event started with a morning breakfast followed by a thank you speech, clicking some photos and saying emotional Good Byes. We sincerely hope to see you next year. The C# Corner Annual Conference is a 3-day annual meeting where C# Corner MVPs, authors, International Speakers, Tech Influencers, Chapter leaders, moderators and editors meet, honor, demonstrate, plan and have fun. Authors and speakers talk about the cutting-edge technology, trends and topics.